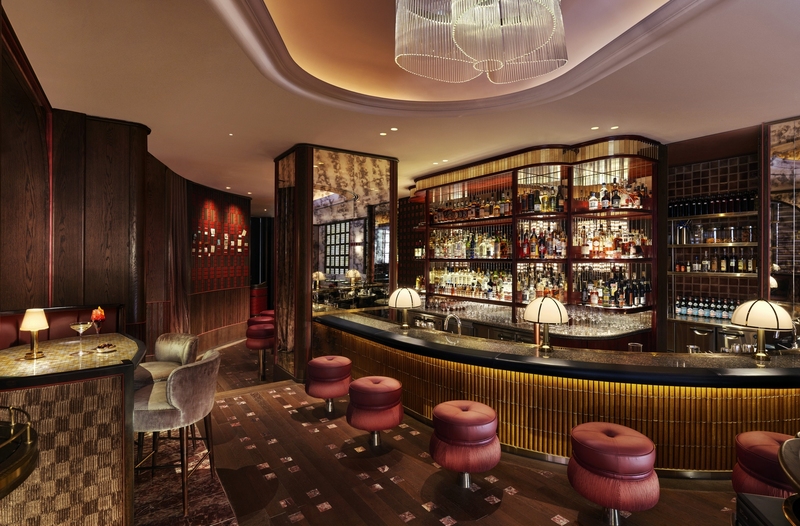 BUGIS is home to a new watering hole that oozes class. 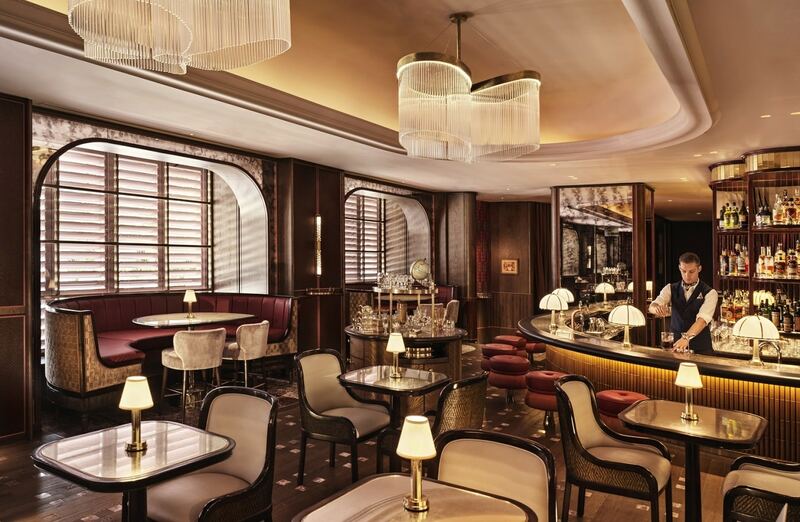 Past the rich tones of mahogany and comfortable leather booths is an in-house band that sets the tone for visitors: soulful and jazzy ditties with a dash of post-Prohibition highs and the swinging 60s. Wood, leather and mottled mirrors – throwback is in Idlewild’s DNA. But the star of the night will always be the glass Andy Griffiths puts into your hand. A good bevy of new bars whip up serviceable cocktails of poor make, masked by eyebrow-raising dollops of syrup. Griffiths’ concoctions go quite the other way. Some background. 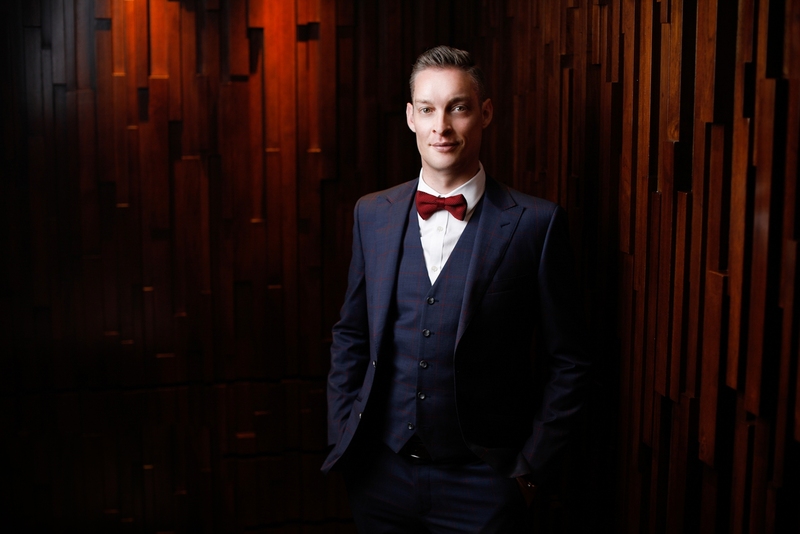 Griffiths has put together an ambitious ‘itinerary’ of a drinks programme that’s meant to recapture the grandeur and wonderment of early air travel in the 40s to 60s. You know, when exploring outside one’s country was the domain of the rich; economy flights didn’t exist and us hoi polloi had to sail around instead. More importantly, tales and experiences from abroad were genuinely fascinating and relished – far from the Instagram fodder status we may accord it today. And hence Idlewild – the intended name for current day JFK International Airport before the idyllic name was dropped in favour of the tribute – and its ‘passport to the world’. Griffith’s carefully crafted two beverages to rep each major stop on either side of the Atlantic. They’re snapshots of the places, their favourite liquids, and the good times had in each. Whichever country and tipple you choose to experience, you’re in for a good time. Griffith’s a chef-turned-head-bartender, and it shows through the drinks. Each cocktail is really a symphony of flavours and layers wrapped around its base spirit (instead of over it), and the pieces fit like a puzzle. First-timers to the bar should open with the Sugarloaf. You may have had classic Bardbadian rum – wrung from sugarcane – many a time, but pineapple-derived rum is quite a different animal. Expect sharp notes and heady zest instead of the dull edge of sugarcane. To temper this, Griffiths works in a Mexican classic: tepache, or pineapple beer, made from fermenting the skins of pineapples. I ask Griffiths what lengths he has to go to to get decent pineapple beer in these parts. “Oh, we make it here,” comes the reply. The inventiveness doesn’t stop there. It’s finished with tamarind water – an extremely bold ingredient that even Asian chefs use sparingly. It’s a finicky affair to make, involving a sticky mess with the rather unsavoury pulp. 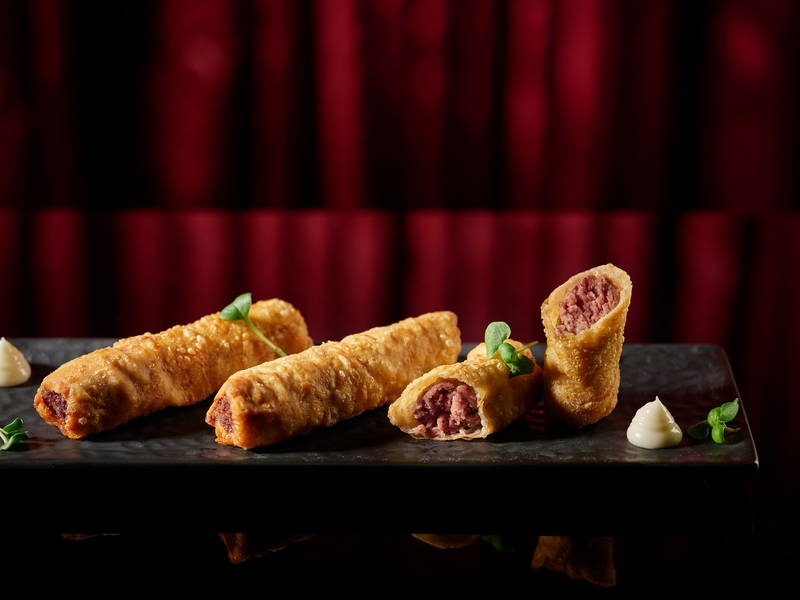 Bites such as the baked filo lamb kofta cigaros may appear to mirror the provenance of the drinks menu, but Griffiths assures us it is a happy coincidence – the chef in him will come around to more detailed pairings eventually. But again, it’s done in-house and just because. 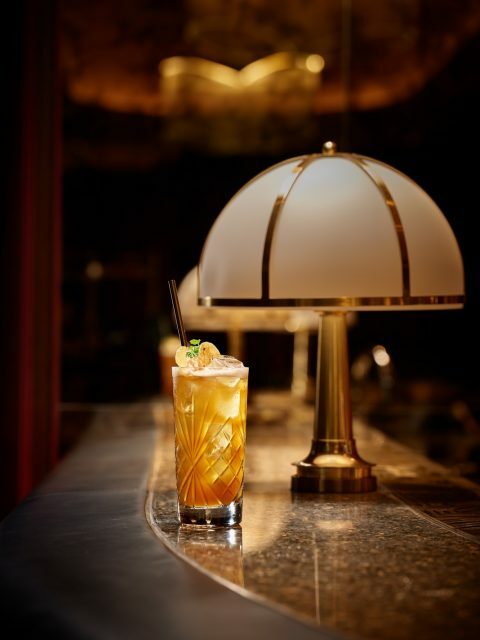 And it’s used to great effect – you get sweet and sour from the pineapple duo, astringency from a dash of cognac, and a tail of saltiness from the tamarind. Think sour plum beverages if you can’t imagine that last bit. As if the drink isn’t stacked enough, Griffiths tops each Sugarloaf with a snack… the Mexican taco, of course. The head of ops and creative draws on the hotel restaurant for its leavings of pineapple and watermelon rind, crafting a crisp shell out of the first, and some delicious pickled chunks from the latter. Score one for sustainability. The mint-forward Berbere Smash is approachable, refreshing and leafy enough to snack on. You get the idea. Now, in the interest of brevity, we’re going to plug four more drinks with our condensed tasting notes. Easy drink for those looking for an introduction to peat. A smoky blend of Irish whisky blended with Ardmore and a heavy whiff of Islay peat. Additional weight and creaminess from creme de cacao, with some local spices courtesy of mead brewed in Singapore. Lemon and teapot bitters leave it with an edge that begets additional sips. Fancy a tea, but never tasted it in a tipple? Hints of red wine from the Mancino Vermouth, your usual Campari, and the rich, warm nose of rooibos thanks to cascara – the dried husk of the coffee cherry. The safest drink for those averse to stronger flavours. 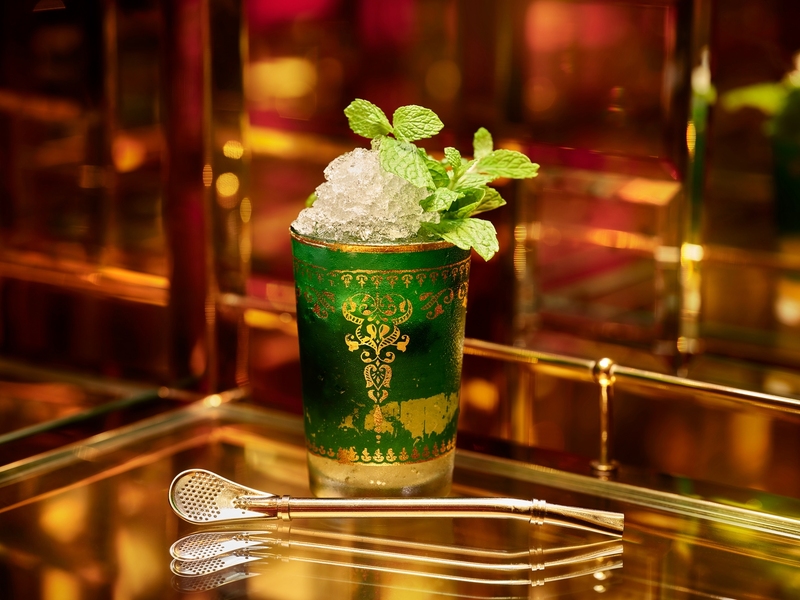 Bourbon and a whole bunch of mint and citrus in a mound of crushed ice – what’s not to like? Somewhat spiced thanks to cardamom bitters, otherwise, it’s all about kicking any tired palate from its reverie. The stiff drink that asserts all traditional notions of masculinity. A sweet rum blend from ‘Cuba’ (the quotation marks mean: likely concocted in Griffiths’ cabinet of curiosities) and two types of sherry are grounded by tobacco, angostura bitters and astringent Italian liquer, amaro. A chocolate cigar is proffered. Don’t stick that pinky out when imbibing. Idlewild, Lobby Level, InterContinental Singapore (Bugis). 80 Middle Road, S188966. Tel: +65 6825 1045. Tuesdays – Thursdays: 5pm – 1am. Friday & Saturday: 5pm – 2am.